If you're interested in a trip to the Mediterranean and want more than what the normal, run-of-the-mill Mediterranean vacations and cruise have to offer, you need to consider a Mediterranean sailing cruise vacation from Sailing Ship Adventures. 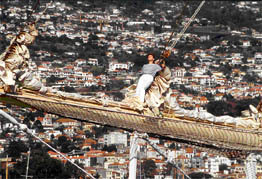 More than just a cruise, a Mediterranean sailing cruise vacation from Sailing Ship Adventures is a sailing adventure that combines the magic and wonder of the Mediterranean with the unique grandeur and charm of sailing on tall ships. Every Mediterranean sailing vacation from Sailing Ship Adventures is a unique opportunity for adventure while cruising to hidden Mediterranean gems under billowing sails. A Mediterranean sailing vacation gives our guests access to a wide range of activities typically not available on a traditional cruise, including fishing, scuba diving, snorkeling, whale watching, wind surfing, and more. Our Mediterranean sailing adventure vacations also offer opportunities to visit both popular destinations, as well as lesser-known ports in France, Corsica, Sardinia, Italy, Greece, Morocco, and more. The adventure of your Mediterranean sailing cruise doesn't end once you come ashore. Every Mediterranean vacation from Sailing Ship Adventures features an itinerary filled with activities and opportunities to suit almost any taste, including beach combing, shopping, hiking, scenic and historical tours, watersports, and more. 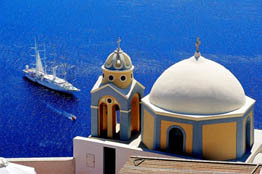 For more information on a Mediterranean sailing cruise vacation from Sailing Ship Adventures, or to start planning your own unique sailing adventure, call us at 1-877-882-4395 or fill out this online contact form.